Lanesborough House Care Home will be a luxury Care Home situated in the market Town of Coleshill, North Warwickshire, and will open towards the end of 2019. 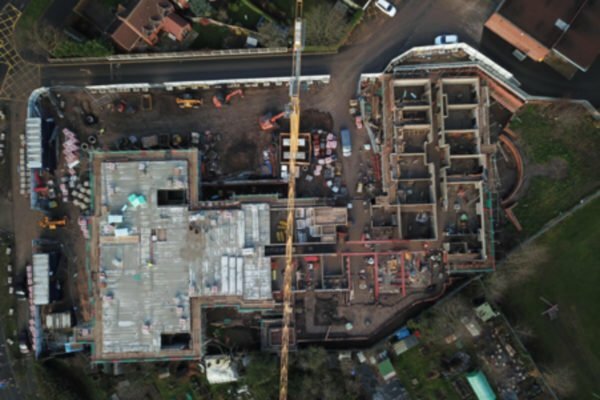 The home will be a luxury purpose built care and nursing home providing 91 extremely spacious bedroom suites with ensuite wetrooms that will provide a new home for residents who require Residential, Nursing or Specialist Dementia care. The home has been carefully designed to meet the needs and aspirations of our residents and we realise the importance of having a bedroom that is large enough for you to actually want to spend time in; to personalise with your own furniture and a place that you can call home. This is why we have increased the size of our bedroom suites with sizes ranging from 30 Square Metres up to 47 Square Metres. In addition, Lanesborough House will have a variety of lounge and dining rooms along with a private dining room, spacious activity room, computer room, Café Bar, and roof garden. Lanesborough House Care Home, Birmingham Road, Coleshill, Warwickshire B46 1DJ.